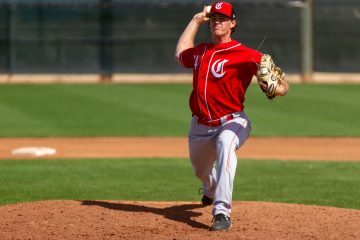 The Cincinnati Reds drafted Ryan Olson in the 13th round out of Cal Poly in 2016. He wouldn’t pitch until the 2017 season, though, after missing most of the college season in 2016 and the rest of the year after signing. In 2017 he made just four starts in Dayton before injury took away the remainder of that season, too. 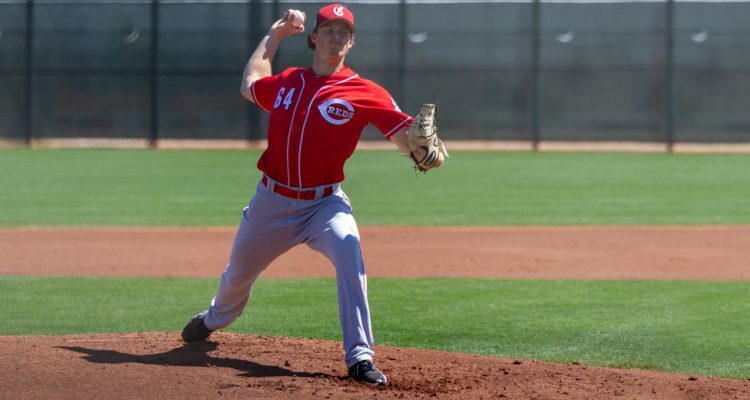 With only four starts in Low-A in 2017 the Reds still felt confident that Ryan Olson was ready to make the jump to Advanced-A. He joined the Daytona Tortugas to begin his season and made his first start on April 7th. He would allow three runs over 5.0 innings with three walks, three strikeouts, and give up two home runs. It was a rough-ish start to the season. It would be the only one he had during the month. On the 13th he allowed just one run with six strikeouts and a walk in 6.0 innings. The next time out he gave up two runs with seven more strikeouts. Against Florida on the 24th he was charged with two unearned runs over 6.0 innings with a walk and six strikeouts. And he capped off the month with eight strikeouts while allowing a run in 6.0 innings against Fort Myers. The month finished with him posting a 2.17 ERA in 29.0 innings with seven walks and 30 strikeouts. May began with a continuation of where April left off. On the 5th the right-handed pitcher allowed just one run in 6.0 innings with two walks and six strikeouts against Lakeland. It was his fifth consecutive start of exactly 6.0 innings. The run of outstanding starts ended the next time out for Ryan Olson. Clearwater touched him up for seven runs in 4.0 innings on the 11th. Things didn’t get better the next two times out as he allowed eight earned in 11.0 combined innings with five walks and four strikeouts to round out the month. He finished May with four starts and a 6.86 ERA in 21.0 innings. He allowed just one home run, but walked nine batters with just 13 strikeouts. Ryan Olson only made one start in June. He allowed four earned runs in 2.1 innings on the 3rd. He hit the disabled list with a lower back strain following the start. 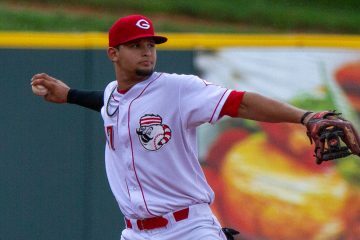 The starter returned on a rehab assignment a month later with the Greeneville Reds. He pitched in two games, both out of the bullpen, before being shut down once again. He didn’t return to the mound in 2018. Fastball | When he was at his best in 2018, the pitch worked 93-96 MPH and showed good sinking action to it. It’s an above-average offering. Change Up | Another above-average pitch that works in the 85-88 MPH range. Slider | A solid offering that’s a fringe-average pitch. Curveball | Another solid, fringe-average breaking ball. Health has been a very big problem for Ryan Olson over the last three years. 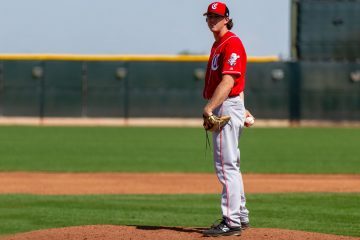 He threw just 28.0 innings in 2016 as a junior at Cal Poly and didn’t pitch with the Reds after signing. In 2017 he missed almost the entire season with ulnar nerve irritation. Then in the 2018 season he missed almost the entire second half. The stuff has always been there for Olson, but he turned 24-years-old in the offseason and he’s thrown a total of 78.1 innings since being drafted in 2016. There’s enough stuff there for him to be a starting pitcher, but there’s a chance that health and his age could also lead to a move to the bullpen despite having starters stuff. A move to the bullpen would certainly accelerate his timeline. That is, of course, assuming he can remain on the mound. Coming out of the bullpen could allow both the fastball and change up to play up. Focusing on one of the two breaking balls may also allow it to improve and play up, too. He dominated right-handed hitters, holding them to an OPS of just .636 in 108 plate appearances. Left-handed hitters, though, posted an .872 OPS against him during the season in 136 plate appearances. I would think given his limited innings as a pro that he likely starts back in Daytona again. Intriguing guy, but the number 1 ability it availability. That’s going to be my new pickup line: My number 1 ability is my availability. Not a bad idea, vague enough that you don’t really promise anything, but when said quickly enough it sure sounds like you’re going to worth having around. It’s all about driving down expectations friends. Could have been a Bronson Arroyo tag line, as the best thing he did was go out there every 5 days. 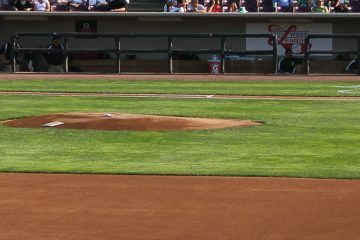 Ryan was the Midwest League Pitcher of the Week the first week of 2017 season. One of the games was a complete game shutout which surprised me that they let him go that far that early in April coming off an injury. I had a chance to talk to him in that time period. As I recall his health issue was not his arm but his back, He told me it was feeling great. But two weeks later he was done for rest of season. Not sure his elbow wasn’t barking that time. The splits vs righties and lefties will be interesting to keep an eye on. If those lines continue and with him already 24, switching him to a releiver might make sense.. The strong numbers vs righty hitters will play well as a releiver! KC is becoming the 2019 Reds first Billy Hamilton, now Homer Bailey!!! A good team for Bailey to sign with. KC is a strong pitchers park, the AL Central is the worst division in baseball… KC is hoping they hit some lightning in the bottle with all of the one year contracts they have and then trade them in July!